We may have seen a lot of flagship smartphones in MWC 2014 last month but those are definitely not the only things to look forward to this year. On top of the upcoming Oppo Find 7, All New HTC One and such, another device that should be announced this year is the LG G3, the next flagship smartphone from the Korean company. 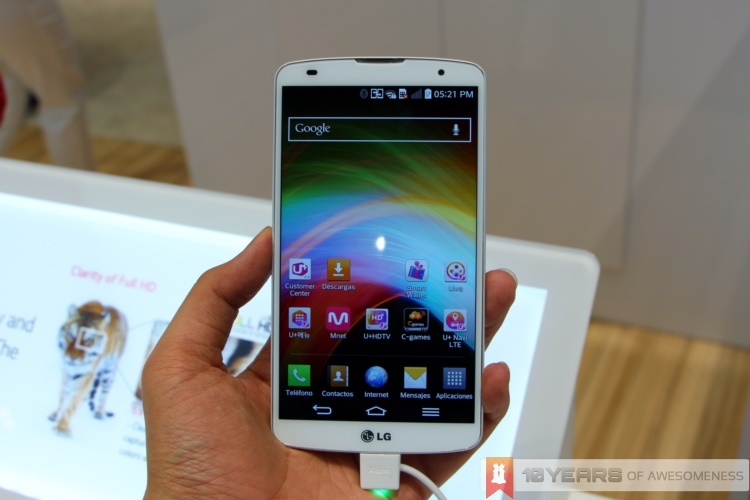 Even before the unveiling of the LG G Pro 2 in MWC 2014, rumors of the G3 have already surfaced and the latest set of rumors include a 2K display and a water- and dust-resistant body. Like the Sony Xperia Z series namely the Z2, as well as the Samsung Galaxy S5, the G3 is rumored to feature a water- and dust-proof design. The rumor was posted on a Korean site, ET News that says that since many smartphone manufacturers are adopting such design, it makes sense for LG to head towards the same direction too. Another rumor by serial leaker @evleaks says that a LG D850 will be heading to AT&T, a carrier in the US. PhoneArena recently also received a tip saying that there will be two other model numbers – D581 and VS985, the latter being a Verizon branded version. The devices are rumored to have a QHD display, and since the D850 model number is so close to the former, it could be a different variant and it should also have the same specs as well. Other rumored specs include a humongous 5.5” display since the G Pro 2 has grown to 5.9”, a 13MP rear camera, and many different variants of the device will be released, mainly for the carriers in the U.S., but hopefully this means that they will also work on even more units, you know, for us Malaysians for a change. While we’re all eagerly waiting for more news regarding the G3, check out our G Pro 2 hands on first impression.